A great answer to Move controller charging. Sony Prepping Do-It-Yourself Move Games? Are the Move and Kinect Shortages All a Hoax? It’s no secret that we here at PlayStation LifeStyle like Sony’s motion controller, the PlayStation Move. As motion gaming seems to be all the rage for this holiday season, the hype may be real but are the shortages not? Poll: Did You Buy the PlayStation Move? What Did You Buy With it? Flight Control HD, the upcoming PSN Move title received a bunch of new information from developer Firemint this morning. The good news? Release dates across the world. But wait…there is some bad news as well. 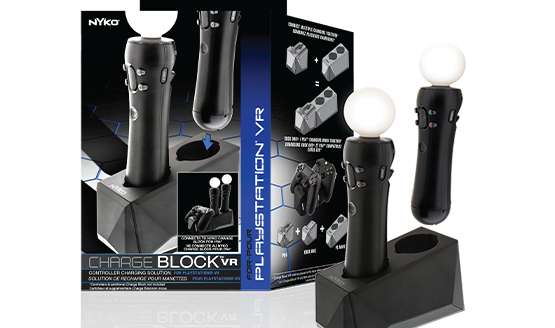 One of the first 3rd-party companies to pledge support to Sony’s PlayStation Move controller last Fall was none other than Capcom with Resident Evil 5. Coined the ‘Alternate Edition’ in Japan, Capcom was eager to let fans know that purchasing their re-release would also grant you access to PlayStation Move control setup but could never quite pin-point a release date for the patch until now. Resident Evil 5 fans get ready to experience fear in a whole new dimension this September. It looks as though a new Move game has been discovered but this time it will be for the PlayStation Network. Flight Control HD is a port of the popular Iphone game and while it supports the move, it can be played with a good old DualShock 3. Not much else is known about the game though i am sure from the title and main image you can probably guess what you will be doing.